One of South cinema’s most beautiful actresses, Shriya Saran has tasted success in India and abroad. We celebrate her glamorous life on her birthday on September 11, with pictures from her life. Born and brought up in Haridwar, Shriya aspired to be a dancer. But she took up acting when she was offered the lead role in the 2001 Telugu film Ishtam. She was only 19 then. 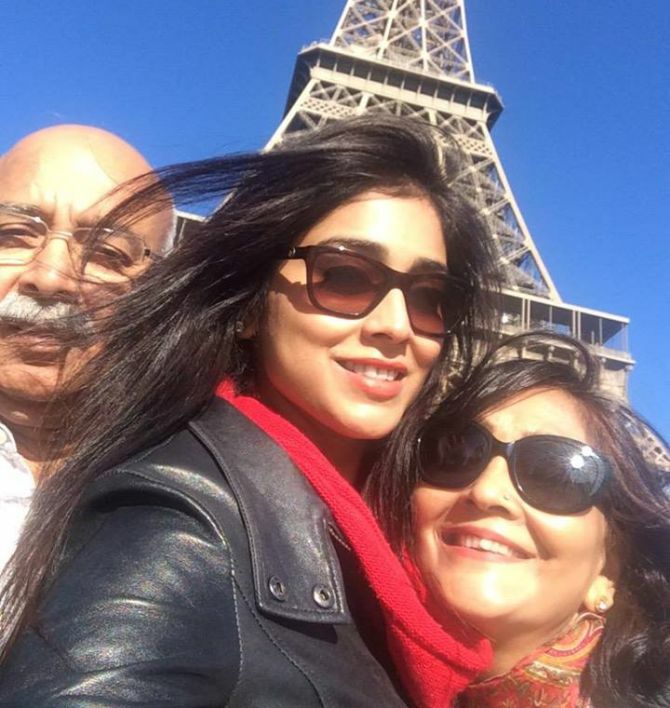 Shriya’s mother Neerajana was a Chemistry teacher at the Delhi Public School. Her fatherPushpendra worked for Bharat Heavy Electricals Limited. After proving herself in several successful Telugu films like Santosham and Nuvve Nuvve, Shriya made her Bollywoood debut with Tujhe Meri Kasam, the film that launched Riteish Deshmukh and Genelia D’Souza. She was recently seen as Ajay Devgan’s wife in Drishyam. Shriya’s first English film was Ashok Amritraj’s The Other End of the Line, opposite Jesse Metcalfe. But it was Deepa Mehta’s Midnight’s Children, an adaptation of Salman Rushdie’s 1981 novel of the same name, that brought her international acclaim. Jyothi Krishna’s 2003 romantic comedy Enakku 20 Unakku 18 marked Shriya’s Tamil debut. In 2007, Shriya played Rajinikanth’s heroine in Shankar’s Sivaji. It was the highest-grossing Tamil film that year. 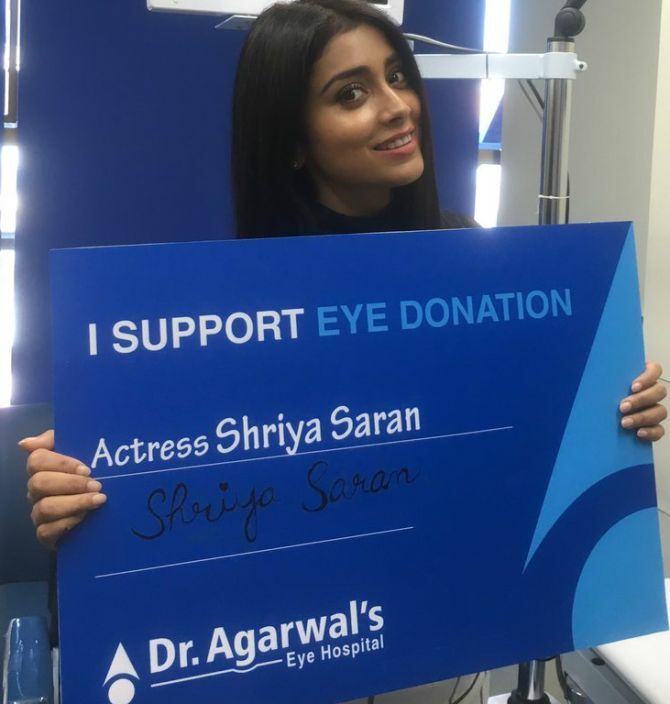 Shriya is not just a pretty face, she is well known for her charity work as well. She is the brand ambassador for the Naandi Foundation, and for the Save A Child’s Heart Foundation (SACH) that work for the benefit of poor children. Shriya is the brand ambassador of the Celebrity Cricket League (CCL) that comprises eight teams of film personalities from the major regional film industries of Indian cinema. Shriya is one of the most sought-after faces in the fashion world. She frequently walks the ramp at the Lakme Fashion Week. 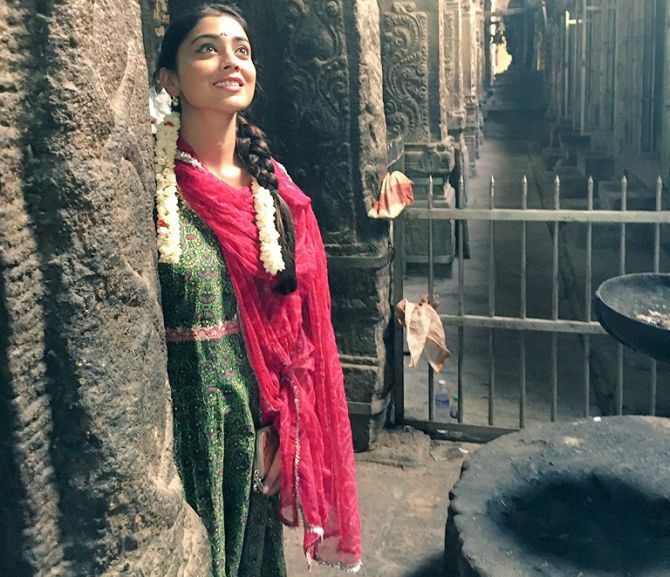 Shriya loves to travel, be it to exotic locations across the globe or our very own Meenakshi Temple at Madurai.